Having a men’s wellness checkup with one of our doctors is key to vitality. We recommend men get regular physical exams and should include tests such as checking testosterone levels and prostate exams. The doctors at Addison Internal Medicine believe men will benefit greatly by getting routine annual exams. More than 12 million American men suffer from low testosterone levels. Unfortunately, most of them do not even know they their testosterone levels are low. Instead, they struggle with symptoms such as fatigue, low libido, weight gain, and low mental clarity. Many chalk it up to aging. There is a solution. Our medical doctors provide testosterone replacement options in a safe medical environment. Our team has the experience and expertise to provide proper solutions to help change the results of low testosterone. The prostate is an important part of the male reproductive system in men and in their overall health. An enlarged prostate can lead to a variety of problems, including difficulty urinating, frequent urination, or pain in the pelvic floor that may get worse with pressure. An enlarged prostate may also be a sign of prostate cancer. So, having a regular prostate exam is an essential step in monitoring this condition. 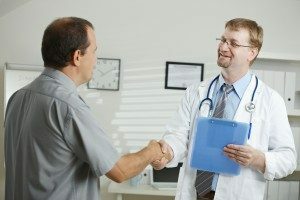 To schedule your testosterone check, prostate exam or annual physical with an internal medicine specialist at Addison Internal Medicine, call us at 972-733-3090.